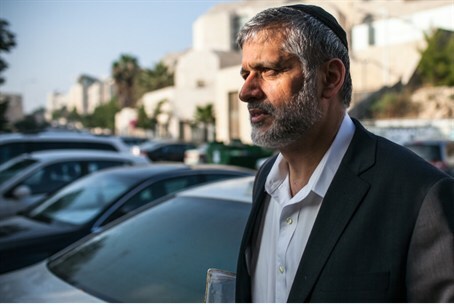 Minister Eli Yishai writes Tel Aviv Mayor Ron Huldai, asks him to safeguard the city's synagogues from illegal infiltrators. Interior Minister Eli Yishai wrote a letter to Tel Aviv Mayor Ron Huldai on Monday, asking him to safeguard the synagogues in the southern part of the city from illegal infiltrators. The neighborhoods of southern Tel Aviv have been inundated with infiltrators from Eritrea and Sudan who have basically taken over the neighborhoods and instilled fear in the residents. Local residents have said they are scared to leave their homes and even walk on the streets for fear of being attacked by the many infiltrators on the streets. Yishai wrote to Huldai that he has received many complaints about the status of the synagogues in south Tel Aviv. “My office has received many complaints about the abandonment, the stench, turning them into bars, pubs, and sometimes even into toilets,” he wrote. Yishai went on to say that the infiltrators are causing Jewish worshipers to stay away from the area, “to the point that finding a minyan in a synagogue in these neighborhoods is very rare.” He said that if similar reports about synagogues in various cities around the world were to surface, quick actions would be taken to remedy the situation. Last week, 11 staff members at the Ichilov Hospital in Tel Aviv, including one doctor, contracted tuberculosis. The doctor who contracted the disease is one who regularly treats infiltrators from Africa. The incident occurred just one month after hospital director Prof. Gabi Barbash ordered to isolate pregnant women, infants and children from among the communities of the foreign workers and infiltrators and not allow visitors from these communities into the hospital. These drastic measures were taken after it was discovered that an Eritrean baby, who was hospitalized in Ichilov’s intensive care unit, and her mother had been ill with tuberculosis. 100 children and parents had to be tested for fear of contracting the disease. The hospital’s moves were met with criticism by Israel’s media, which claimed Ichilov was being racist by isolating foreign workers and infiltrators and ignored the concern for the well-being of others. Israel recently launched an operation dubbed “Going Home”, which combines a police crackdown with financial incentives for illegal infiltrators who leave by choice. Interior Minister Eli Yishai has instructed the Department of Immigration and Population to begin repatriating illegal alien infiltrators from the Ivory Coast. However, Israel’s main problem remains the infiltrators from Eritrea and North Sudan, which make up the bulk of the infiltrators. The UN Human Rights Council recently said that Eritrea was among the worst human rights offenders in Africa, with as many as 10,000 political prisoners held in prisons. In the wake of the comments, officials in Israel have admitted that the country would have a much harder time repatriating Eritreans.